Together in Faith Contest Winner! 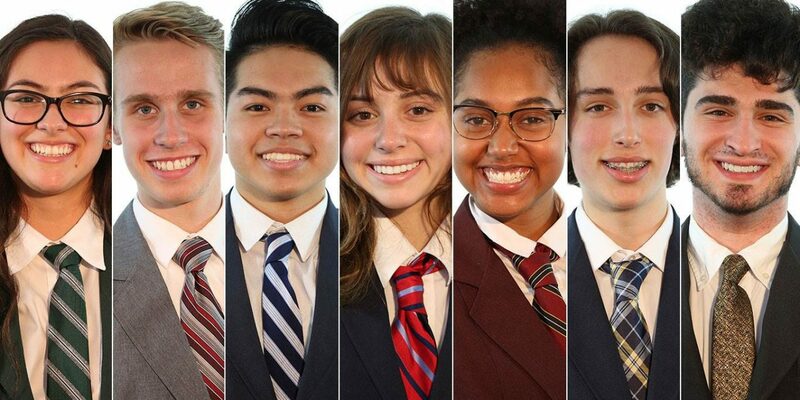 Campaign artwork (and video) developed by the Hamilton-Wentworth Catholic DSB to support their efforts to win the #TogetherInFaith Sign-Up Day Contest. It worked! 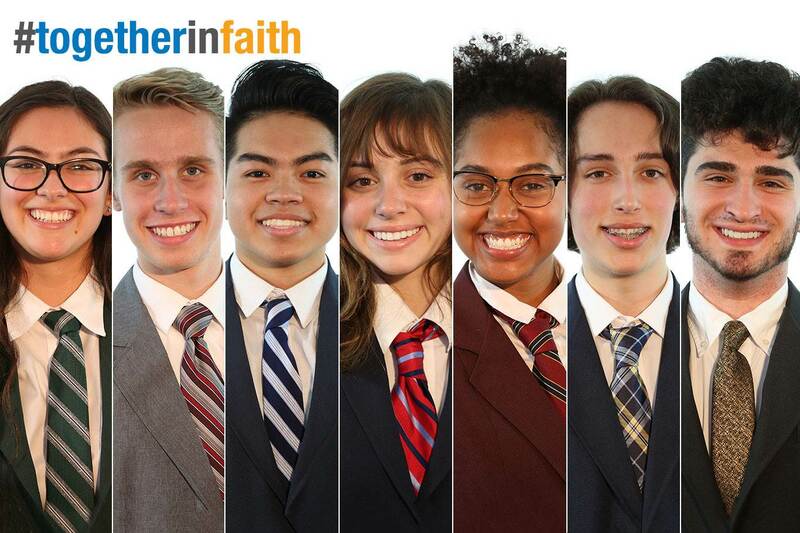 On November 6, student leaders at Catholic schools across Ontario participated in a contest to recruit the highest number of campaign subscribers for the #TogetherInFaith campaign celebrating publicly funded Catholic education in Ontario. 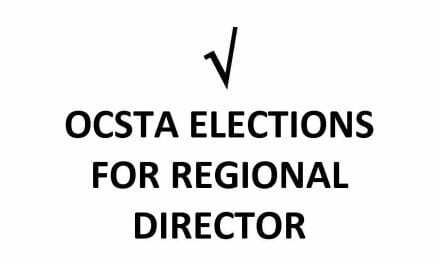 The contest was launched by student trustee and OSTA-AECO Catholic Board Council President Ben Smith and OCSTA President Patrick Daly in a letter that was sent in September to student council presidents at Catholic schools across the province. The result was outstanding with over 4,200 new subscribers signing on during the contest period. We are pleased to acknowledge and thank every participant in this contest for their efforts as each of you helped to support this initiative for Catholic education in Ontario. Elisa Mejia of Bishop Ryan Catholic Secondary School in the Hamilton-Wentworth Catholic DSB. Elisa and her school will receive Best Buy Gift Cards. 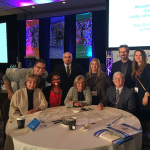 Congratulations Elisa and Bishop Ryan Catholic Secondary School! 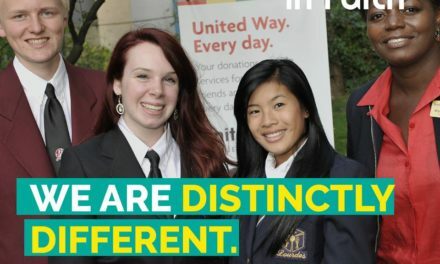 A special note of appreciation goes to the students and staff at the Hamilton-Wentworth Catholic DSB as they helped to recruit over 1700 of the more than 420o new subscribers who joined the campaign during the November 6 Sign-Up event. We invite you to view the board’s inspiring video for this contest. The Together in Faith Campaign is an OCSTA initiative produced in partnership with the Ontario English Catholic Teachers’ Association and the Assembly of Catholic Bishops of Ontario. To learn more about the campaign and to add your name please visit: www.togetherinfaith.ca. 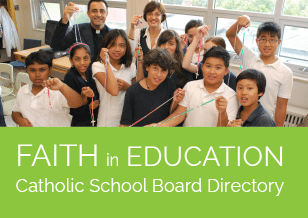 Share the good news about Catholic education by following the campaign on Twitter (www.twitter.com/CatholicEdu) and on Facebook (www.facebook.com/CatholicEducationInOntario). Thank you! OCSTA President, Patrick Daly speaks at the ICE Symposium regarding the work of FACE and the Together in Faith campaign. Other remarks were delivered by FACE partners His Excellency, Bishop Ronald Fabbro (ACBO), Ann Hawkins (OECTA) and Carole Allen (FACE Manager). …Through honest dialogue and discussion, the symposium will provide the opportunity to come together in conversation, gathering the community to name and understand the challenges presented by an increasingly complex and secular society today, and to indentify and build consensus around the opportunities that will shape our future. While the mission and vision for Catholic education have not changed, our context has changed profoundly. This conversation, exploring the theme, “Renewing the Promise”, will help us to better understand the ways in which Catholic schools serve and support the mission of the church, encouraging students to become leaven within society as a service to others, and nurturing the ability to be full partners in the innately human quest for greater justice and truer community. 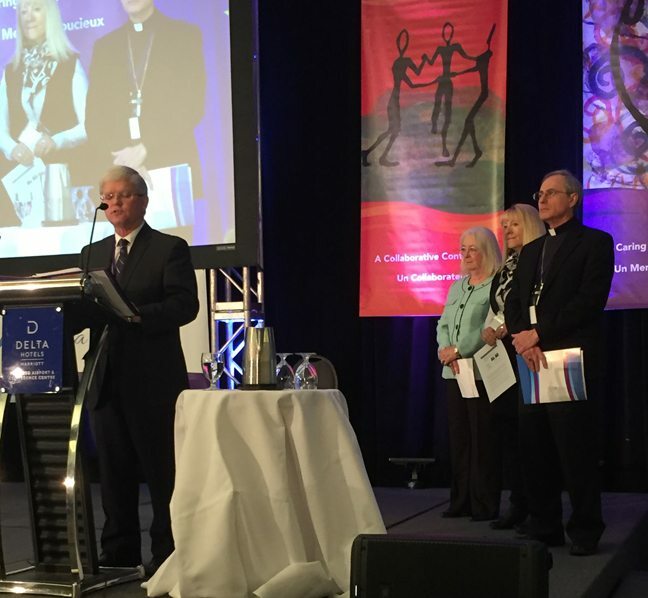 …The Bishops of Ontario, as both participants and observers to the Symposium, have expressed their intention to develop a new pastoral letter, Renewing the Promise, which will reflect on the challenges and opportunities that accompany this moment in time in Catholic education in Ontario. Prior to the Symposium participants were asked to answer a number of questions designed to surface perspectives on the defining elements of Catholic education, current challenges and opportunities and the aspirations of the community for the future of Catholic education in Ontario. Those insights were shared again at the Symposium for the purposes of a broader discussion and to help to find those key themes and issues that might help to define Catholic education within the context of our current times while at the same time illuminating the way forward. A celebration and recognition of the love, sacrifice and support of the clergy, religious brothers and sisters who were the foundation of Catholic education in Ontario during those early days in 1826 on through to the extension of full-funding in 1984 and to our current time. 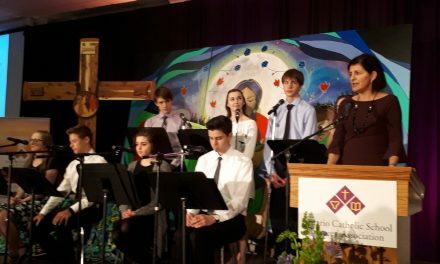 A dramatic presentation of the history of the clergy, brothers and sisters who taught in our Catholic schools enacted by students from Ontario’s French and English Catholic schools. A presentation by the Friends and Advocates for Catholic Education (FACE) that highlighted the colloborative initiatives of this partnership that are serving to strengthen the Catholic community and raise awareness among the public, politicians and policy leaders regarding the contributions and integral value of publicly funded Catholic education to society. Key initiatives include the Together in Faith campaign for Catholic education and the coordinated Catholic education lobby initiatives led by OCSTA President Patrick Daly, OECTA President Liz Stuart and the ACBO President, His Excellency, Bishop Ronald Fabbro. The work of FACE is coordinated and managed by Carole Allen. Eucharistic Celebration, presided by His Eminence, Thomas Cardinal Collins. Closing address by the ACBO Education Commission Chair, His Excellency, Bishop Gerald Bergie. Dramatic presentation by students from Ontario’s French and English Catholic schools. 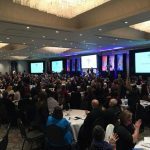 Over 650 gathered in Toronto for the 2017 ICE Symposium.